I live in boots all winter and try to reason with myself that there is still a case to wear them in the early parts of autumn and latter parts of spring. They have become my uniform. Case in point, there ended up being a crack in one of the soles and I can tell you, I have never thrown shoes away because I have worn them out! Normally, it is the total opposite, thrown out because I hardly wear them! So, I always invest in my boots. I justify with myself my "need" for them even when they are just that tiny bit too expensive. My latest purchase is the Grenson shoes you see above. I am ashamed to say I only discovered Grenson last year. However, after being drawn to the way they make boots and the style I was sure my next pair would be from them. Grenson uses the Goodyear Welted process which means the shoes last longer and is able to be resoled many times. The brogue detailing is a lovely masculine touch and I can not wait to wear them. Anyone else who wears Grenson? 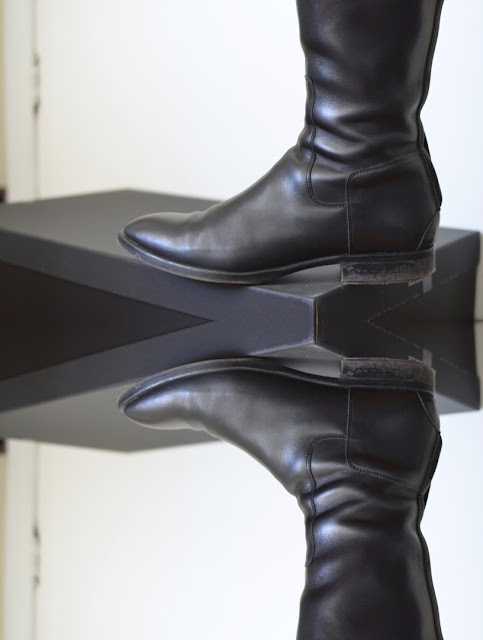 My Hugo Boss black boots are the epitome of quality. I have had this pair for around 5 years now and they look as good as new. The quality is impeccable, I once wore them in a down pour for a whole day and not one single inch of my feet got wet. While many of my friends were not that lucky. Also, I had to wear them on a flight a few years ago and was so surprised that being uncomfortable was not even an issue! Love all your posts. I agree with you about quality boots. 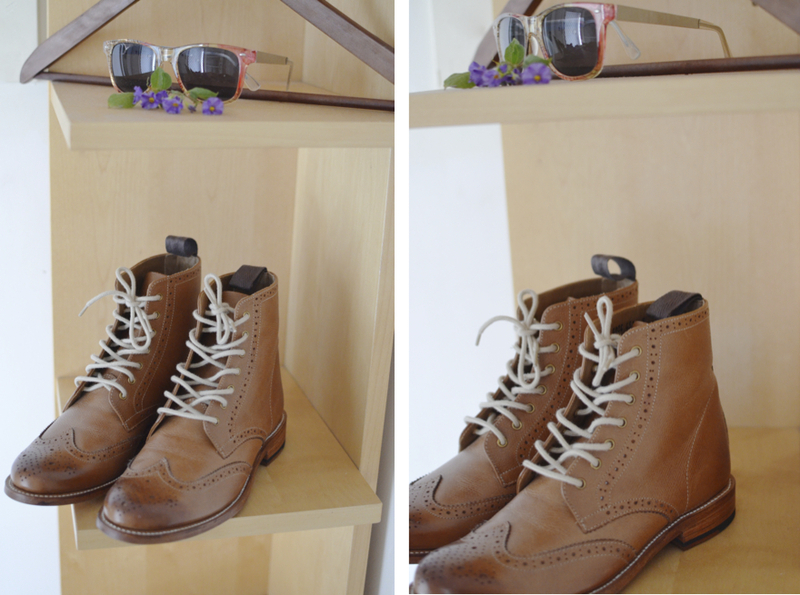 Simply swooning over your boots. The first pair are gorgeous and then I saw the Hugo riding boots and feel even more in love. They look absolutely beautiful! I think it's good to invest in boots- especially if you wear them over and over [as I do!] I bought a pair of black riding boots from Urban Outfitters during sales a few years ago [maybe 4] due to a need/their inexpensive price. And they surprisingly paid off for the better and are still functional. Granted, I have had them reheeled and resole- but they've seen many many days. But still, they look the perfect bit of loved and worn, which is my favorite thing about shoes. They'll finally give out soon- I am thinking within a year or two, and now Hugo Boss is on my radar for their replacement. Totally understand what you mean, I live in boots, especially in the winter. Your riding boots sound amazing. I love it when shoes or even clothing have stories behind them. While the little scratches and scuff marks make it so personal and beloved. So happy to hear that Hugo Boss will be on your radar! Also, good luck with your move! Sounds so exciting!